In Search of Luca : Milan leave it late…. 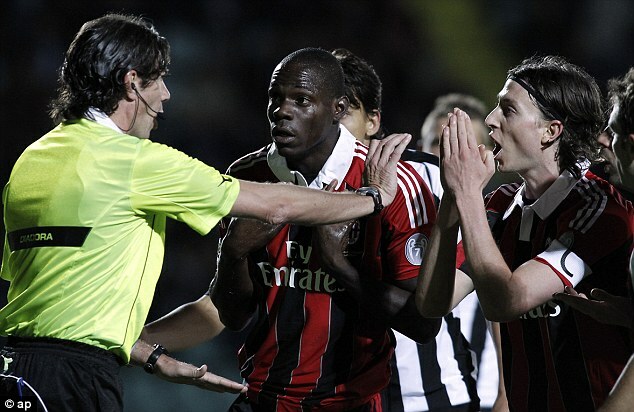 It was a straight fight between AC Milan and Fiorentina. Milan were away at relegated Siena, whilst Fiorentina also faced relegated opposition in Pescara. Milan came out victorious in dramatic fashion to pip Il Viola to third place. With five minutes left, Milan were trailing Siena 1-0 until Mario Balotelli and Phillipe Mexes scored to send I Rossoneri into dreamland. The Milan result was very harsh on Fiorentina who did everything they could by beating Pescara 5-1 with a hat-trick from Adem Ljajic and goals from Matias Fernandez and Arsenal target, Stevan Jovetic competing the rout. In Serie B the final weekend was just as exciting and frantic as three teams all had a chance of promotion, and also the league title. Sassuolo, Hellas Verona and Livorno went into the final games with Serie A the carrot dangling in front of their noses. It all went down to literally the last kick of the season as Sassuolo scored a 95th minute winner against Livorno to earn promotion, and also clinch the league. They ended game with nine men in a nailbiting end to the season. Verona will join them in Serie A after drawing 0-0 at home to Empoli, in front of 40,000 fans at Stadio Bentigodi. So that brings the 2012/13 Serie A season to a close. In the end the usual suspects finished where many predicted they would. Next season will see new faces in charge of some of the top clubs. Napoli are after a new manager as Walter Mazzari has stepped down. His likely destination is Inter, who are looking to sack Andrea Stramaccioni and Milan are, according to Silvio Berlusconi at least, looking to replace Massimiliano Allegri. A busy summer awaits, and I will keep you upto date with all the comings and goings right here.